In August 2006, my mother went to the doctor for what she thought was a hip strain. After reviewing her x-rays, her primary care physician sent her to an oncologist. After additional scans, my mother was immediately admitted to the hospital. She had been walking around with a hip bone so deteriorated, that it could have shattered at any moment. During emergency surgery to stabilize her hip bone, a biopsy was performed. Pathology results confirmed a diagnosis of Multiple Myeloma. Multiple Myeloma is a blood cancer that affects the plasma cells in bone marrow. My mother was 52 years young at diagnosis. Prior to Multiple Myeloma, my mother was full of life and always on the go. The only thing she would slow down for was to spend quality time with her children and grandchildren. While my mother’s diagnosis was devastating for all of us, we were very blessed by the quality of life she was able to enjoy for the first several years post-diagnosis. For over four years, my mother was very receptive to the latest drug treatments for Multiple Myeloma and she was able to enjoy a relatively pain free life. 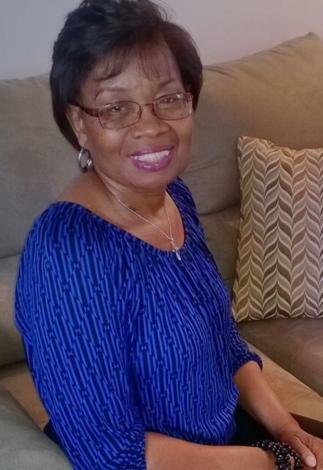 The second half of my mother’s battle with Multiple Myeloma proved to be much more difficult. Once we got to year five, her disease began to progress and her body grew increasingly resistant to treatment. As a daughter, watching my mother’s cancer progress and slowly chip away at the beautiful and vivacious person that she once was completely broke my heart. She began experiencing debilitating pain and fatigue which caused her to become depressed. (Believe it or not, I did not discover my mother’s depression until after she was gone). On December 2, 2014, Multiple Myeloma took my mother’s life, leaving my life as well as the lives of so many people who loved her forever changed.